April contains Earth Day; why not discover some ultra-earthly creators! Akwaeke Emezi was born and raised in Nigeria. They received their MPA from New York University and was awarded a 2015 Miles Morland Writing Scholarship. Emezi also won the 2017 Commonwealth Short Story Prize for Africa. 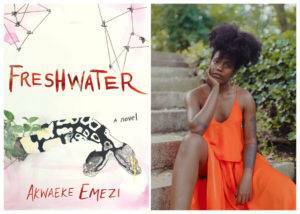 Freshwater is their phenomenal debut novel. About the book: Ada has always been unusual. As an infant in southern Nigeria, she is a source of deep concern to her family. Her parents successfully prayed her into existence, but something must have gone awry, as the young Ada becomes a troubled child, prone to violent fits of anger and grief. But Ada turns out to be more than just volatile. Born “with one foot on the other side,” she begins to develop separate selves. When Ada travels to America for college, a traumatic event crystallizes the selves into something more powerful. As Ada fades into the background of her own mind and these alters—now protective, now hedonistic—move into control, Ada’s life spirals in a dangerous direction. I first discovered Nuzo Onoh through her book, The Sleepless, and was delighted to find out she lives in the same area as I do, The Midlands, UK. As such, I hope to meet up with her and arrange a local get-together for horror writers. 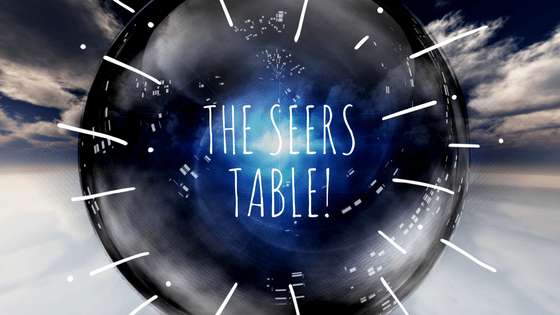 I am part of The Seers Table to raise awareness of future movers and shakers in the horror industry, and particularly, those of diverse backgrounds. So I am very excited to present Nuzo Onoh to you. 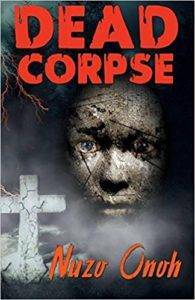 Described as “The Queen of African Horror,” Nuzo Onoh is the creator of chilling horror fiction from the African Continent. A British writer of African descent, Nuzo was born in Enugu, the Eastern part of Nigeria, formerly known as The Republic of Biafra. 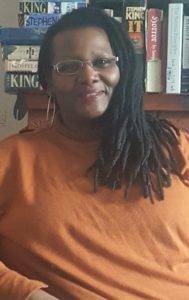 She lived through the civil war between Nigeria and Biafra as a child refugee, an experience that left a strong impact on her and has influenced some of her writing. 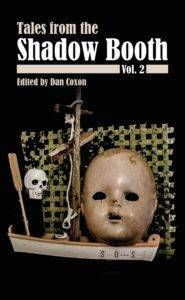 Lecture: African Horror: Shades of Superstition at The Miskatonic Institute of Horror Studies, London – 7 p.m., April 11. (https://goo.gl/DvkNRT). 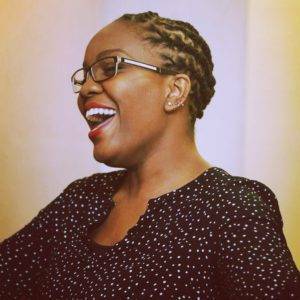 Her writing is imbued with a sense of community and offers the reader ghost stories from the African region, which tap into loads of themes yet still give horror fans visceral stories. I’d like to recommend to readers Dead Corpse. How do you bury a corpse that refuses to die? When a humble witchdoctor’s albino daughter is murdered for ritual magic, an entire village will awaken to the fury and vengeance of a powerful entity from beyond the grave. 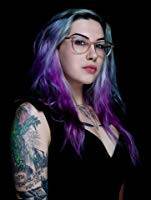 Mallory O’Meara is an author, screenwriter, and a genre film producer. Whether it’s for the screen or the page, Mallory seeks creative projects filled with horror and monsters. She lives in Los Angeles with her partner and too many cats. Mallory hosts the podcast Reading Glasses, alongside filmmaker and actress Brea Grant. The weekly show is hosted by Maximum Fun and focuses on book culture and reader life. 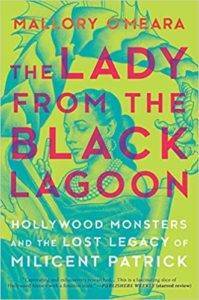 Recommended work: The Lady from the Black Lagoon uncovers the life and work of Milicent Patrick—one of Disney’s first female animators and the only woman in history to create one of Hollywood’s classic movie monsters. As a teenager, Mallory O’Meara was thrilled to discover that one of her favorite movies, CREATURE FROM THE BLACK LAGOON, featured a monster designed by a woman, Milicent Patrick. But for someone who should have been hailed as a pioneer in the genre, there was little information available. For, as O’Meara soon discovered, Patrick’s contribution had been claimed by a jealous male colleague, her career had been cut short, and soon after she disappeared from film history. No one even knew if she were still alive. While working in the horror film industry, O’Meara set out to right the wrong, and in the process discovered the full, fascinating story of an ambitious, artistic woman ahead of her time. Patrick’s contribution to special effects proved to be just the latest chapter in a remarkable, unconventional life, from her youth growing up in the shadow of Hearst Castle, to her career as one of Disney’s first female animators. And at last, O’Meara discovered what really had happened to Patrick after the CREATURE’s success, and where she went. A true-life detective story and a celebration of a forgotten feminist trailblazer, The Lady from the Black Lagoon establishes Patrick in her rightful place in film history while calling out a Hollywood culture where little has changed since those early days. Contact: http://www.malloryomeara.com/; see other social media links on her site. Chikodili Emelumadu is a Nigerian writer, broadcaster, and blogger living in England. She has a BA in English language and literature from Nnamdi Azikiwe University Awka and an MA in Cross-Cultural Communications and International Relations from the University of Newcastle upon Tyne. She is shortlisted for The Caine Prize for “Bush Baby” published in African Monsters, edited by Margaret Helgadottir and Jo Thomas (Fox Spirit Books, UK. 2015). Chikodili’s work has appeared in One Throne, Omenana, Apex, Eclectica, Luna Station Quarterly, and the interactive fiction magazine, Sub-Q. In 2014, Chikodili was nominated for a Shirley Jackson award for her short story “Candy Girl” and is working on her debut novel. Her haunting short work explores otherness, power dynamics, family, and her Nigerian roots. Follow her on Twitter: @chemelumadu or on Instagram: @chikodili. Holly Lyn Walrath’s poetry and short fiction has appeared in Strange Horizons, Fireside Fiction, Daily Science Fiction, Luna Station Quarterly, Liminality, and elsewhere. She is the author of Glimmerglass Girl (Finishing Line Press, 2018). She holds a B.A. in English from the University of Texas and a Master’s in Creative Writing from the University of Denver. 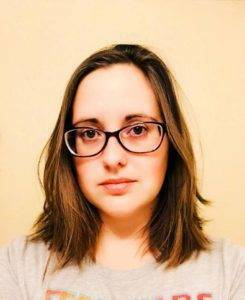 She is a freelance editor and host of The Weird Circular, an e-newsletter for writers containing submission calls and writing prompts. Recommended reading from her poetry collection, Glimmerglass Girl. 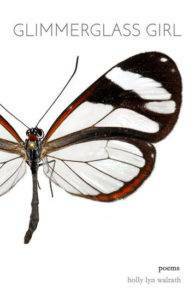 tuck her face under her wing, blasphemed. one more day is purgatory.